HRANA News Agency – Branch 11 of the Court of Appeals in Yazd Province has sentenced two Baha’i citizens of that city, Mehran Bandi Amirabadi and Mehran Islami Amirabadi, to a combined two years of discretionary imprisonment. 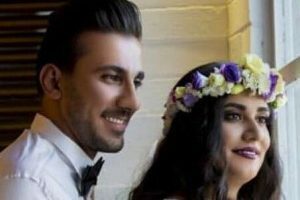 Based on a report by HRANA News Agency, the news arm of Human Rights Activists in Iran, on 12 January 2019 two Baha’i residents of Yazd, Mehran Bandi Amirabadi and Mehran Islami Amirabadi, were each sentenced to one-year discretionary imprisonment by Branch 11 of the Court of Appeals of Yazd Province. 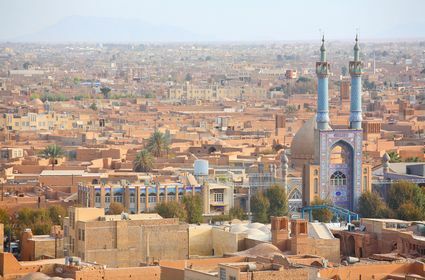 Prior to this and after contesting a verdict by Branch 3 of the Court of Appeals, the Supreme Court had transferred this case to Branch 11 of Yazd Province’s Court of Appeals as an equal branch. According to this informed source, the punishment given to these Baha’is was not subject to the level one to six discretionary punishment classification; owing to this, the law of repeated offence should not have been enforced in the sentences issued against them. Mehran Islami Amirabadi and Mehran Bandi Amirabadi had been moved to Yazd Prison in July/August of last year to serve their sentences. After appealing the verdict issued against them and the confirmation of the appeal by the Supreme Court, they were released temporarily until the completion of the hearing. were tried by Branch 3 of the Court of Appeals of Yazd Province in August last year, and according to the issued verdict, Mehran Islami Amirabadi was sentenced to eighteen months of prison and one year of internal exile to Saravan, and Mehran Bandi Amirabadi was sentenced to eighteen months of prison as well as one year of internal exile to Divandarreh. 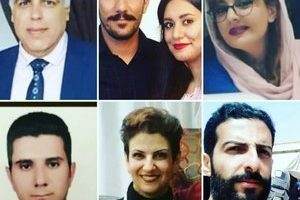 In addition, five other citizens, Sorour Foroughi Mehdiabadi, Farzad Rahmani Manshadi, Ramin Hosouri Sharafabadi, Mohammad Ali Tadrisi and Ahmad Jafari Naeimi, were each sentenced to three years of suspended imprisonment by this court, and Ezzatollah Khorram, another defendant in this case, was exonerated from all charges. 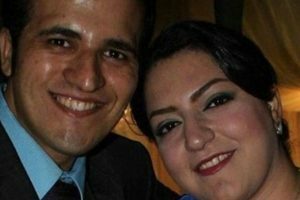 Mr. Islami was arrested along with 19 other Baha’is on 31 July 2012 and charged with “propaganda against the Regime” and “propaganda in favor of groups and organizations against the Islamic Republic”. He was sentenced to one year of discretionary imprisonment and one year of suspended imprisonment. According to unofficial sources, there are more than three hundred thousand Baha’is in Iran. However, the Iranian Constitution only recognizes Islam, Christianity, Judaism and Zoroastrianism, and does not recognize the Baha’i Faith as a religion. For this reason, the rights of Baha’is have been systematically violated for the last several years.